Archos seems to be obsessed with churning out new tablets and media devices. One of their latest models is the 10inch screen 101 XS 2 – an Android tablet that sports the added extra of a keyboard docking station, perfect for those who literally live on the internet yet love sending out emails and long-ish status updates. If you can remember the XS 2’s predecessor, conveniently called the XS, then all I can tell you is that they look practically the same – still sporting that wide, rather unappealing form-factor that I remember seeing as something negative about the original model. When it came to testing the XS 2, using it as if it were my daily driver, I found it very heavy to no thanks to its weight of 636g. It’s also not the thinnest of tablets at 10.1mm. It definitely needs a lot of improving in these two areas, though I guess this is part of the trade-off for its very competitive price tag. On the left, you’ll find a micro-USB port, micro-SD card slot, HDMI connector, along with a 3.5mm audio jack. The right side has been left completely blank, with the bottom housing the power/lock button and volume rocker – both were very responsive. The front is dominated by a large 10.1- inch display, with two speakers sitting next to it. Above the display you’ll find a front-facing camera, with the official Archos logo sitting nicely below. The keyboard itself looks great and was a pleasure to use – perhaps the keys could be a big bigger though. Apart from that, it’s lovely and light at only 200g, and measures in at 273 mm x 169 mm x 5mm. Archos has supplied the XS 2 with a 10.1- inch display. It’s a great size for browsing the web and that, but due to its awkward aspect ratio, I did find it hard to operate at times. Maybe this could be fixed in the future, but I know I had the same problem with its predecessor. The XS 2 runs on the Android Jelly Bean platform, with little customisation input from Archos. I personally don’t mind having a more stock experience when using an Android device, though I know there are some people out there who like to see a bit more from the manufacturer in terms of UI. I’m a huge fan of the overall flexibility of the Android operating system. You get so many options to make the user interface your own, unlike iOS. When testing, I made the most of the widgets that were on offer, using the calendar and clock the most. There’s a great choice of awesome pre-installed apps to be made use of, with the renowned Archos media player being a personal favourite. Obviously you also get access to all of Google’s services such as Talk and Gmail, including the Play Store which will allow you to download even more apps and games. Being a tablet PC, one of the most important software features is obviously going to be the browser, which by default, is rather impressive. You can also download Chrome for free via the Play Store. As for the power side of things, the XS 2 touts a quad-core processor clocked at 1.6GHz, along with 2GB RAM and 16GB of internal storage. Reflecting on this, the XS 2 is of a nice speed, with no problems when it came to more demanding tasks. And I think 16GB of memory is ample for most. The battery life was also impressive. I used the tablet for mostly browsing the internet, accessing my emails, as well as playing a few games and watching YouTube Videos, and managed to get just under a day’s worth of juice (battery life). I don’t think many people actually buy tablets just to use them to take pictures with, although you do get a 2- megapixel rear-facing camera that is capable of taking very basic snapshots. Sadly, however, the quality is absolutely terrible. The video quality wasn’t that much better either. What deserves merit though is the actual camera interface. I found it very easy to use, and know that those who aren’t exactly techies will be able to use it with no problems. So well done to Archos. I am disappointed with this Tablet. 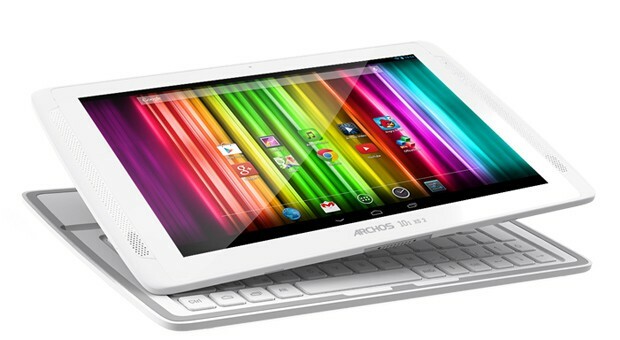 I am an Archos fan, and hoped the 101XS-2 would be a step forward from my Archos 80 and 101 G9 tablets. It is not in some key respects.GOOD POINTS1. nice to look at;2. Keyboard cover good;3. Good screen, but too shiny/reflective in bright conditions;4. Addition of rear camera welcome, but no flash, and only adequate resolution.BAD POINTS1. Battery life very poor, and unless you use the dedicated mains charger, when connected via USB (and allegedly 'charging') the battery discharges quickly even with light use. This is a SERIOUS design flaw.2. GPS is 'flaky' at best. Takes ages to acquire a location fix, when it does so at all;3. No 'kick stand' except when connected to keyboard;4. Unlike the G9 series, no full USB port. The single micro USB port doubles as USB connection and for charging. Given the points I mentioned above this means when connected to a PC to transfer files, the Tablet will show it is 'charging', but the battery percentage actually keeps dropping.CONCLUSIONAs a Tablet that sits on your desk most of the time, with the keyboard attached, using its own mains charger, with only minimum 'unplugged' use around the home or office, it is OK.The battery life and USB cable charging issues make it a very disappointing 'mobile' device. Even in a car, plugged into a cigar lighter, the Tablet' battery will run out of juice fast.Archos have made the crucial mistake of increasing performance at the expense of battery life, and even battery charging ability.I am hoping future firmware updates my improve things. Unless these problems are fixed, for the first time ever, I cannot recommend an Archos tablet. From marlbrook*****04/04/2014 – An update. I had to return my XS2 to Archos as it developed a bright pixel. They sent me a new Tablet. This one does NOT display the low USB charging symptoms of the original. So please disregard any reference to poor charging in my original post. either the original was faulty, or Archos have improved this. The other 'Bad Points' remain however, particularly the 'flaky' GPS performance. I am still disappointed with some aspects, but overall I like this Tablet.